Nice girl in orange UV protective glasses. 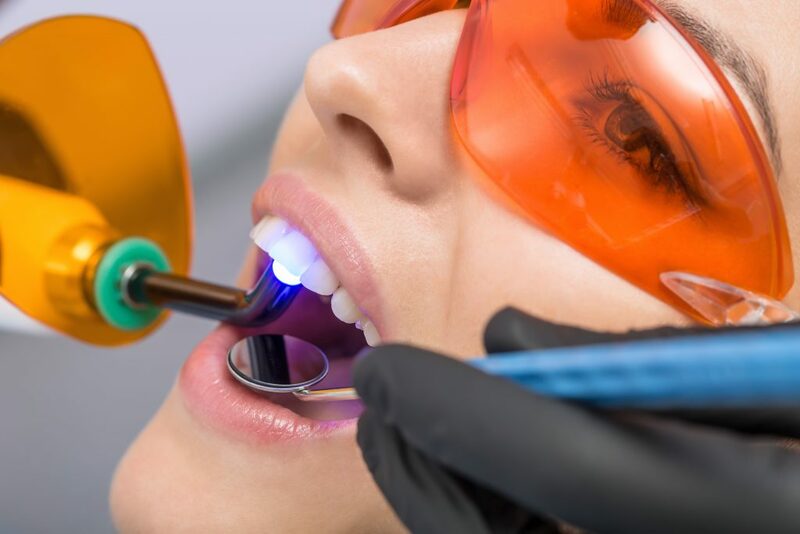 Her teeth treated with the help of a dental UV curing light lamp and a dental mirror. Macro photo. Horizontal.